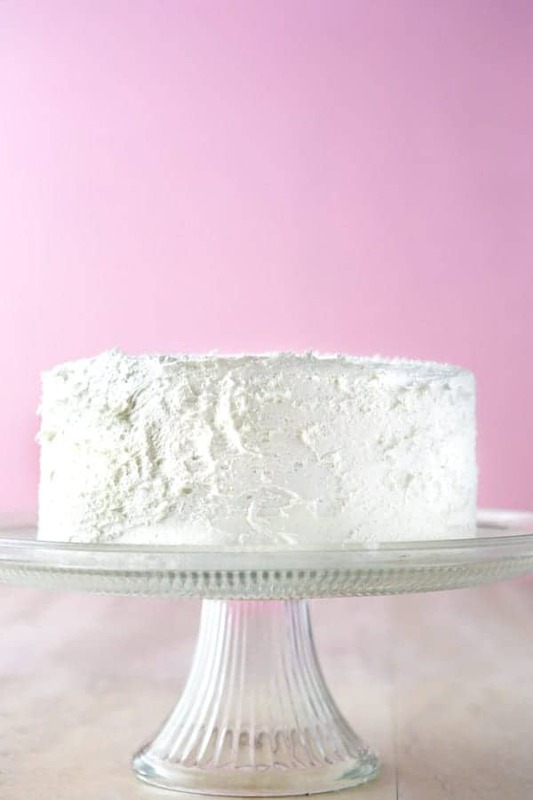 The Best Gluten-Free White Cake Recipe You’ve Ever Tried! This cake is perfect for birthdays and weddings and doesn’t require a mix. I need to be honest here with you, friend. This isn’t exactly a “quick and easy” cake recipe. 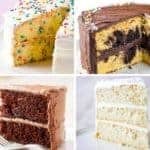 If that’s what you need right now, go make my gluten-free funfetti cake recipe and save this one for when you have some time to spend in the kitchen. This cake requires three cake pans and a bit of patience. But, it’s worth. Oh, it’s so worth it. This gluten-free white cake doesn’t taste gluten-free. What do I mean by that? I mean it’s not gummy, heavy, or dry. 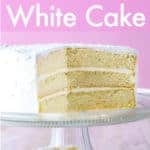 Three characteristics that often affect gluten-free white cake. This cake comes out moist and dense—but not too dense. Think of the best birthday or wedding cake you’ve ever tasted. That’s what this cake is like. A cake that’s fitting for birthdays and weddings requires some care and attention. Starting with the ingredients. There’s a reason for the combination of two fats. Butter makes a cake with a fantastic flavor. Shortening, on the other hand, doesn’t bring any flavor to the cake. So why use it? Texture! When creamed with granulated sugar, shortening traps air. That trapped air, in turn, helps to lift and light the cake during baking. For the best gluten-free white cake, the combination of butter and shortening can’t be beat. But what if you don’t want to use shortening? For this recipe, replace the shortening with an equal amount of coconut oil. Unlike shortening, coconut oil goes from a solid to a liquid state with low temperature. You want the coconut oil solid but not brittle. If it’s too cold, it won’t cream nicely with the butter and sugar. And what if you don’t want to use butter? Good question. The answer for this is both straightforward and…not. If you can’t use butter, you have a few choices. Either replace the butter with all shortening. As mentioned above, shortening doesn’t bring any flavor to a recipe. So the flavor of the cake won’t be as nice. You could use all coconut oil. That replacement will give you a cake that tastes somewhat strongly of coconut oil. Selecting the right gluten-free flour is always key. For this recipe, Bob’s 1:1 Gluten-Free Baking Flour worked great. If you use another combination or brand of gluten-free flour, the results might differ. For the best chance of success, use a gluten-free flour that includes xanthan gum or add 1 teaspoon to a xanthan gum free blend. Since this is a white cake, you want to use white granulated sugar. 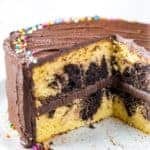 It’s sweet and perfect for this cake. Replacing the granulated sugar with any other type of sugar won’t give you a nice white cake. And if you use a liquid sugar, like maple syrup, the recipe might not work at all. You know how many egg yolks you’ll find in this recipe? Not a one! To keep the cake white, only egg whites are used. Not only does that give you a cake that’s white in color, egg whites also impact the flavor. Yolks bring a rich, creamy, almost custard flavor, whereas the whites don’t. If you’re a cake aficionado, you might be surprised that the egg whites aren’t whipped. I tested both whipped and not-whipped egg whites. 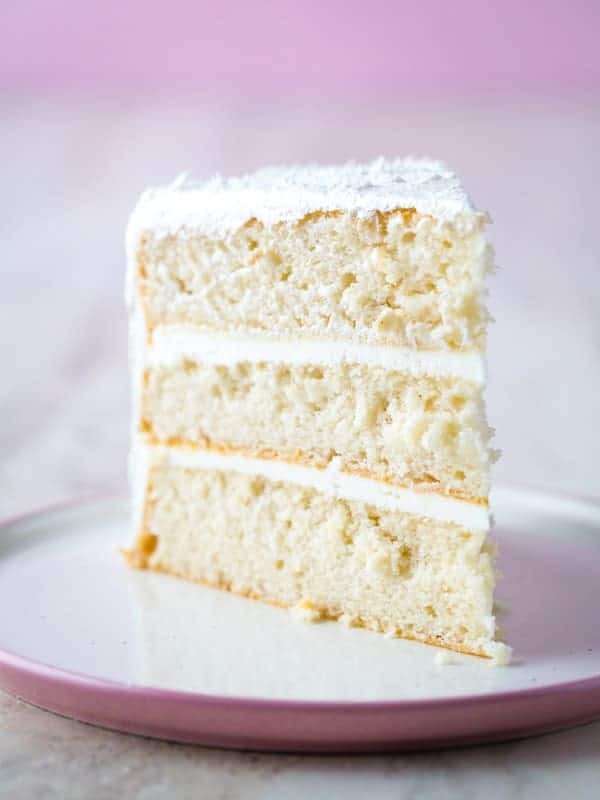 Since the texture of the white cake should be somewhat dense, we want it more like a box cake than a chiffon cake, whipping the egg whites add a lot of hassle but didn’t improve the cake. So no whipping egg whites for us! Can I be honest? I usually hate recipes that call for a 1/3 cup of sour cream. I mean, c’mon. It’s such a small amount! So I’m sorry! Because this recipe really needs that sour cream. I love the combination of vanilla extract and almond extract in white cakes. The funny thing is that you don’t use so much almond that it tastes like almond. Rather, a 1/2 teaspoon is all you need to enhance the flavor of the cake and, like magic, to make the cake taste richer and more vanilla-y. As always, if you don’t want to buy or use almond extract go right ahead and skip it. There are two important steps to this recipe: how you cream the butter, shortening, and sugar and how you add the dry and wet ingredients. Let’s talk about creaming the butter, shortening and sugar. Combine the three ingredients in the bowl of a stand mixer. (Can you use a handheld mixer? Yes but make sure it’s a sturdy one! I don’t want you to burn it out.) Then you beat (cream) the ingredients for five minutes. How serious am I about five minutes? Very serious. In fact, I’d love it if you used a timer. During this time, the mixture goes from a thick paste to a light, white and fluffy mixture. Since a thin layer of butter and shortening always clings to the side and bottom of the bowl, stop the mixer at least once during the five minutes and scrape the bowl. After beating the butter, shortening, and sugar, add the egg whites one at a time. Again, don’t rush this. If mixed correctly, the batter should look like fluffy frosting—which is what we’ve basically made here. Up next, the flour, sour cream, and milk. Add 1/3 of the flour and allow it to mix into the batter. Then add the sour cream. Let it mix into the batter. 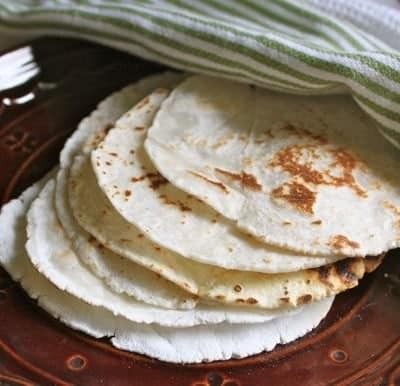 Once you’ve added the sour cream, alternate between adding the milk and the remaining flour. Is this putzy? Yes! It is! But it’s worth it. After doing all that work, you don’t want to simply plop the batter into the pan. First, divide the batter evenly among three 8-inch cake pans. Then using the back of a spoon, spread the batter into the pan. Use a gentle wiggle motion. This ensures that the cakes bake evenly—and using a gentle wiggle, the batter doesn’t deflate. 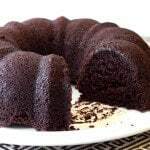 Bake the cakes in a preheated oven until a cake tester inserted in the center of the cake comes out clean. A few damp crumbs might stick to the cake tester or toothpick but you shouldn’t see any wet batter. Place the cake pans on a wire rack and allow the cakes to cool in the pan for five minutes. Then turn the cakes onto a wire rack to cool complete. This step prevents them from sticking to the pan as the cool. The reason you don’t turn the cakes out right away is because they are very delicate when they first come out of the oven. Allowing then to cool for five minutes gives the starches in the cake a chance to set up. For this cake, I think my “cheater Italian buttercream” is perfect. 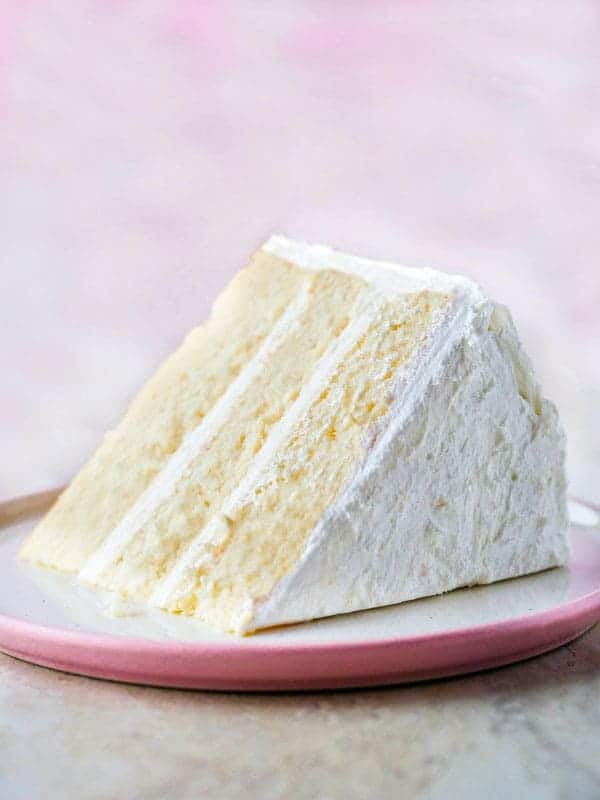 It’s light and fluffy and enhances the cake but doesn’t overpower it. 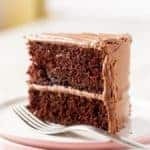 As always, you want to make sure the cake is completely cool before frosting or the frosting will melt when it hits the warm cake. If you’ve read this far, you deserve a slice of cake—perfect gluten-free white cake. Have fun with this recipe, it’s one of my favorites! The links below are affiliate links. GlutenFreeBaking.com earns a small commission when you use the links to shop. 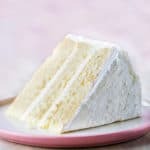 The Best Gluten-Free White Cake Recipe You've Ever Tried! This cake is perfect for birthdays and weddings and does not require a mix. Preheat oven to 325 degrees F. Grease three 8-inch round cake pans. Whisk together the gluten-free flour, baking powder, and salt in a small bowl. In the bowl of a stand mixer, cream together butter, shortening, and sugar until very light and fluffy, about 5 minutes. Add the egg whites, one at a time. Allow each egg white to incorporate before adding the next. After adding the last egg white, add the vanilla and almond extract. Mix the batter for 45 seconds. It should appear very light and fluffy--almost like frosting. Reduce speed to low. Add about 1/3 of the flour, followed by the sour cream. Then, alternate between the remaining flour and milk, allowing each to almost incorporate before adding the next. After the last addition of milk, mix batter until smooth, about 45 seconds. Use a flexible rubber spatula to scrape the bottom of the bowl. If any dry flour comes to the surface, gently mix it into the batter. Divide the batter evenly among the cake pans. Smooth the batter evenly into each pan with the back of a spoon. Bake until the cakes are set and a cake tester inserted into the middle comes out with only a few crumbs attached, about 25 minutes. The color will look very pale. Only the edge will turn a light golden brown. Allow cakes to cool in the pan for 10 minutes and turn out onto a wire rack to cool completely before frosting. In a large bowl, beat the butter until light an creamy, about 2 minutes on medium speed with a handheld or stand mixer. Stop the mixer. Add powdered sugar, heavy cream, vanilla extract, and salt. Turn mixer to low and allow the ingredients to incorporate. Increase speed to medium- high speed and mix until light and fluffy, about 2 minutes. If frosting seems too thin, add an additional two tablespoons powered sugar. If frosting seems too thick, add an additional tablespoon cream. Place one cake layer on your cake stand. Spread a generous, about 3/4 cup, frosting over top of first layer. Repeat with remaining two layers. Spread a layer of frosting evenly on top of the cake. Then, frost the sides. Can I use the white cake mix for cupcakes or will it not turn out the same when baked? This recipe would work great for cupcakes! Ack! Thanks for catching that. I’ve removed the typo. I served this cake to our Senior Citizens Center today and it was a HUGE hit. Used your frosting, but decorated it with sugared berries. 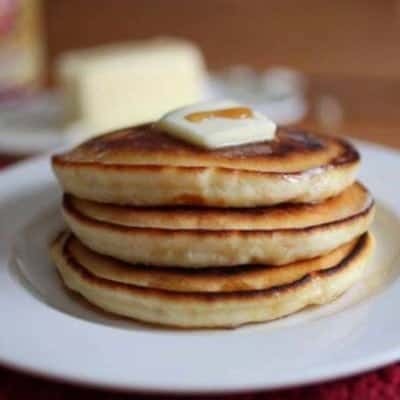 I also substituted buttermilk for the milk and replaced the almond extract with brandy. Thank you for the amazing recipe! I’ll be using it again! I made this for a big Christmas party but crushed up 4 Peppermint candy canes and added 2 tsp Peppermint extract and made a Candy Cane Cake, I used your frosting recipe but crushed 3 candy canes in an Wow!!! Everyone loved it! A candy cane cake!!! Yum yum! Thank you so much for your recipe. I used Grandpas kitchen gluten free flour and it was perfect just like you said it would be!!! Would this recipe work to color it with food gel? Can this cake be frozen or will it be dry? This cakes freezes nicely. Just be sure to cool completely before freezing. I made this and the only thing I changed was half & half for the milk. It tasted so good! Wasn’t grainy or dry, it was moist and really has great flavor. We love eating cake tops, and these were so gooooood…. The only problem was that at the end of baking they sunk. Plenty plump until almost done. Did I over beat? Do you think if I used half whole eggs and hand white this would help? Glad you enjoyed them! As for them sinking, could be a couple of things. You mentioned “they”. Did you make cupcakes? First thing, they might now have been done. A few more minutes of baking might solve the problem. Or, as you mentioned, the batter might have been overwhipped. The last thing that makes me go “hmmm” is the half and half. In theory, it should be fine but I wonder if it added a little too much fat for gluten-free batter. Can I turn this cake into chocolate cake? If I add cocoa, do I subtract some flour? thank you!! Your comment inspired me to (finally) post an updated recipe for a chocolate layer cake. It’s right here. I hope you enjoy it! Wow! thank you so much..I appreciate the effort you put into this!!! I can’t wait to bake this cake! I want to make a three layer 9 inch cake. Can you suggest how much more batter I would need? I was thinking of doubling the recipe and making cupcakes if I had left over batter. Last question– how high do I fill the cake pans? 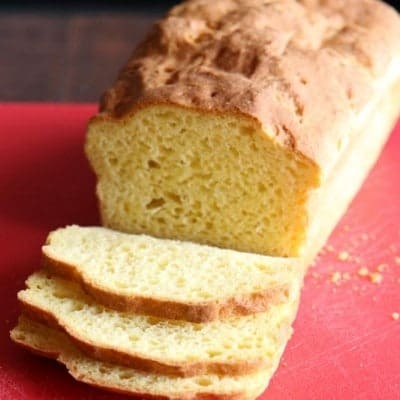 Thank you for this perfect recipe! I think you’ve got it. For three 9-inch layers, I’d double the recipe and use the leftover for cupcakes, just as you said. Fill each cake pan a little more than halfway.